Teeth stain for many different reasons, certain food and drinks easily stain teeth. Poor brushing and some medicines can also stain teeth. Teeth stains can occur on the outer surface of the tooth or even below the outer tooth enamel. Some people develop both types of teeth stains. Extrinsic Teeth Stains: This is staining on the surface of the tooth. Often from food or drink. Extrinsic tooth stains are typically caused by tobacco, tea coffee, strongly coloured food and drinks. This type of staining responds well to regular dental cleaning and brushing the teeth with whitening toothpaste. Intrinsic Teeth Stains: This is staining below the surface of the tooth. An intrinsic tooth stain is harder to remove, but it can be done. An intrinsic tooth stain may require professional whitening. At Plaza Health we can provide a professional home whitening kit or Zoom laser whitening. Age-Related Teeth Stains: The core tissue of your teeth, the dentin, naturally yellows over time, so teeth discolor with age. As we age, the enamel that covers the tooth becomes thinner, allowing the dentin to show through. Our Cosmetic dentist can talk to you about the cosmetic improvements that can be made to your smile. 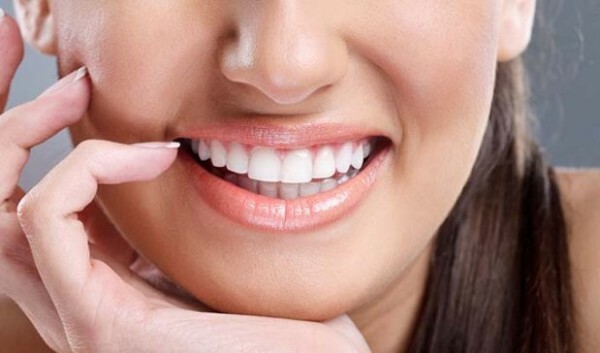 ​Teeth whitening can easily improve the look of your smile. Banishing yellow teeth and giving you a confident hollywood smile. We can help you achieve a natural looking healthy white smile in only 14 days. Our Plaza Health dentist can help select the right treatment for you. With Zoom laser whitening you’ll have a whiter smile in ony 90 minutes. With our professional home whitening kit, you’ll have a whiter smile in 14-21 days. It’s the perfect choice for patients with sensitive teeth.